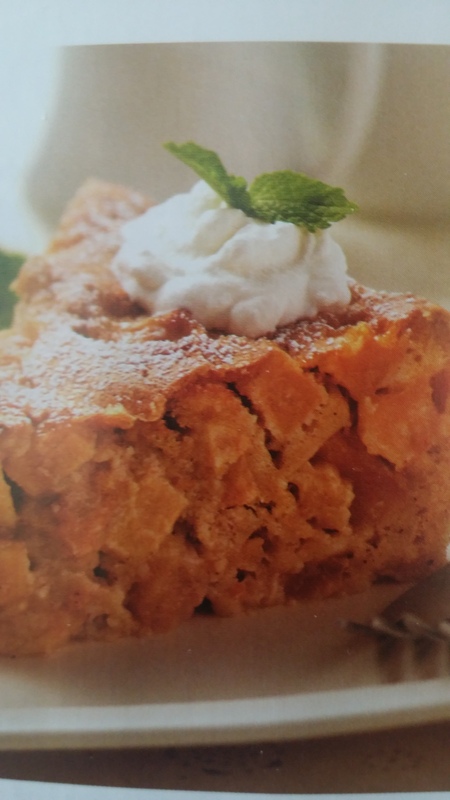 Saw this in a cookbook that was being passed out at Costco. Randy loves apple anything, so when I saw this, I knew I would be making this. So easy! 7 Eastern or Red Delicious, Empire or Jonagold, peeled and diced into 1″ cubes. Preheat oven to 350. Line the bottom of a 9″ springform pan with a circle of parchment paper. Butter the pan and paper. Place diced apples in the prepared pan. In a mixing bowl, combine eggs and sugar, beating well. Add vanilla, then stir in dry ingredients, just until blended. Pour the batter over the prepared apples, smoothing it over and into the apples. Gently tap the pan on the counter to even ly distribute the batter. Bake for 45-50 minutes, or until cake tests done. Let cool in pan for 20 min. Flip the cake onto a plate, then again onto a serving platter. When cool, dust with powdered sugar. Serve with whipped cream or ice cream.